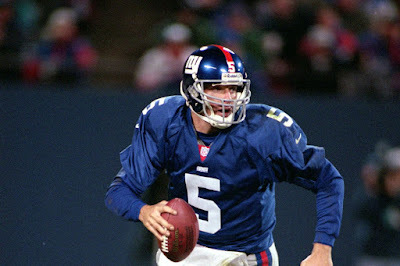 Kerry Collins with the Giants. 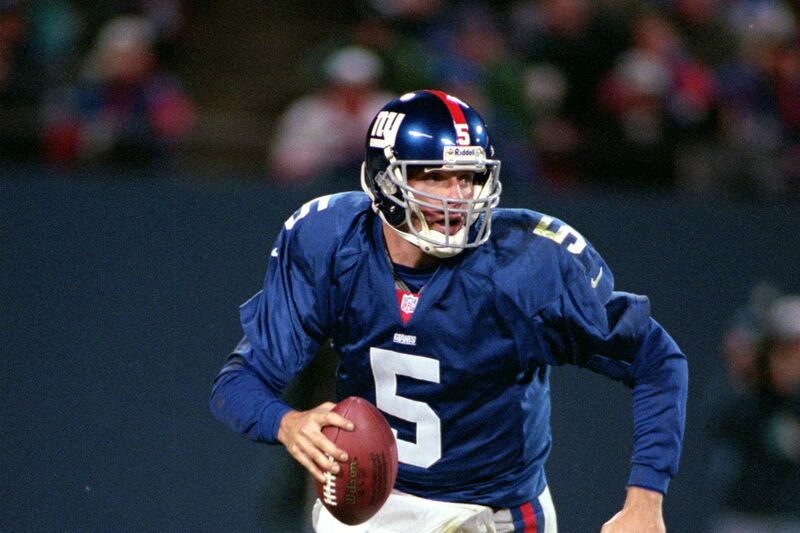 Former Giants quarterback Kerry Collins is part of the College Football Hall of Fame Class of 2018. Archie Manning, NFF Chairman and a 1989 College Football Hall of Famer from Mississippi, said, "We are extremely proud to announce the 2018 College Football Hall of Fame Class. Each of these men has established himself among the absolute best to have ever played or coached the game, and we look forward to immortalizing their incredible accomplishments." The announcement of the 2018 Class was made live on Monday morning on ESPN's SportsCenter in Atlanta, the site of the College Football Playoff (CFP) National Championship, which will be played tonight at Mercedes-Benz Stadium between Alabama and Georgia. Mack Brown joined the ESPN set inside the stadium for the announcement,representing the class and sharing his thoughts on induction. Frank Beamer and Matt Stinchcomb will join Brown in participating in the coin toss on the field during the championship game. Charles Woodson was announced as a member of the 2018 College Football Hall of Fame Class yesterday live on ESPN's Sunday NFL Countdown. The tradition of announcing the College Football Hall of Fame class in conjunction with the CFP National Championship began in 2015 before the inaugural CFP title game in Dallas. The 2018 College Football Hall of Fame Class will be officially inducted at the 61st NFF Annual Awards Dinner on Dec. 4, 2018, at the New York Hilton Midtown. The inductees will also be recognized at their respective collegiate institutions with NFF Hall of Fame On-Campus Salutes, presented by Fidelity Investments, during the fall. Their accomplishments will be forever immortalized at the College Football Hall of Fame in Atlanta. NFF President & CEO Steve Hatchell said, "We would like to thank CFP Executive Director Bill Hancock and his staff for the continued opportunity to announce the Hall of Fame Class in conjunction with the championship game. We are also grateful for the guidance, knowledge and vision of honors court chairmen Archie Griffin (FBS) and Jack Lengyel (divisional) for the essential role that they each play in guiding the committees in the selection of the inductees." 2. A player becomes eligible for consideration by the Foundation's honors courts 10 full seasons after his final year of intercollegiate football played. 4. Players must have played their last year of intercollegiate football within the last 50 years*. For example, to be eligible for the 2018 ballot, the player must have played his last year in 1968 or thereafter. In addition, players who are playing professionally and coaches who are coaching on the professional level are not eligible until after they retire. Including the 2018 Hall of Fame class, only 997 players and 217 coaches have been inducted into the College Football Hall of Fame from the nearly 5.26 million who have played or coached the game during the past 149 years. In other words, less than two one-hundredths of a percent (.02%) of the individuals who have played the game have been deemed worthy of this distinction. Founded in 1947, The National Football Foundation & College Hall of Fame inducted its first class of inductees in 1951. The first class included 32 players and 22 coaches, including Illinois' Red Grange, Notre Dame's Knute Rockne, Amos Alonzo Stagg and Carlisle (Pa.)'s Jim Thorpe.